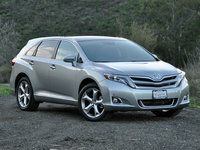 At first blush the Toyota Venza might look like an SUV, but it is so much better. Toyota created a new segment of family-oriented “crossover sedans” with the Venza’s 2009 debut, combining the fuel economy, sleek style and easy handling of sedans with the elbow room, cargo space and outward visibility of minivans and SUVs into one sweet not-quite-wagon package. This year Toyota opted to add in the brake-override system used to fix the accelerator issues in its other cars, but left the Venza unchanged otherwise. With five stars on all but one trait, the change was merely a measure to bullet-proof this Top Safety Pick. 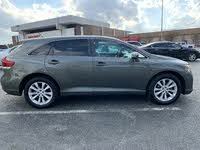 As long as the Camry, and as wide as the Highlander with the same ride height for its front seats, the Venza otherwise fits right in the middle in terms of overall height - affording increased comfort over the Camry for 5 passengers and 70 cubic feet of cargo capacity with the seats folded down. Add to that another 3,500 pounds of towing power with the optional 3.5-liter, 268-hp V6, and you have the perfect midsize car for the adventurous midsize family. Available with either front-wheel or all-wheel drive (AWD), the standard engine is a 2.7-liter, 182-hp four-banger good for an impressive 21 to 27 mpg, and both engines use the same 6-speed automatic transmission with some manual functionality. The larger V6 when paired with AWD drops fuel economy to 18 mpg in the city and 25 on the highway - still excellent if you stand it up next to its smaller, less-capable Subaru competition - and it is the best-rated engine in the entire crossover class. As for creature comforts, the Venza comes with everything you would expect of a modern sedan plus a pretty hefty wish list. Loaded with 19-inch alloy wheels, automatic lights, foglights, privacy glass, power tailgate, keyless entry, cruise control, dual-zone automatic climate control, 8-way power driver seat, tilt-and-telescoping steering wheel, color trip computer, Bluetooth, 6-speaker stereo with CD player, satellite radio, USB connectivity and a buffet of safety features by default, the bigger engine will just get you 20-inch alloy wheels. Option packs vary by region, but you can safely dream big with options like a rear-view camera, panoramic sunroof, xenon lights with automatic high beams, leather interior, 13-speaker JBL surround-sound system with multiple-CD changer, and even a rear-seat entertainment system. With all the cupholders and nifty storage compartments a (big) kid could want, the Venza is prepared for anything - yes, even Boy Scouts, and all the road trips that come with ‘em. While public opinion is rather mixed, it all comes down to your personal sensibilities. Coming from a sedan, of course the ride is going to seem a bit bumpy and the fuel economy could be improved. Coming from an SUV, of course the Venza won’t seem so ruggedly ready for heavy-duty adventure. Despite those complaints, Venza owners love the space, seats and features combined in one elegant, innovative package. Only 1,000 Venzas left the lot for its debut, even though the only differences between the 2009 version and the current model are the USB connectivity added for 2010 and the brake override system added this year. It must have been a marketing fluke - the second year saw over 50,000 of them turning heads in an explosive comeback. Don’t expect to get a bargain on this 2-year-old breakthrough model. The first year didn’t see much demand, so supplies are limited, keeping the price relatively high - just $1,000 less than the same car a year newer. The same is true from 2010 to 2011, but the technology infusion and high price point for a new Venza keeps the 2010 in-demand - for now. If you’re curious about reliability, look to the Highlander if you’re getting the V6 or the Camry if you’re getting the inline-4 - or I can save you the trouble and just say it’s made by Toyota; of course it’s perfectly reliable. 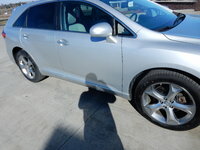 Start a new Toyota Venza question.